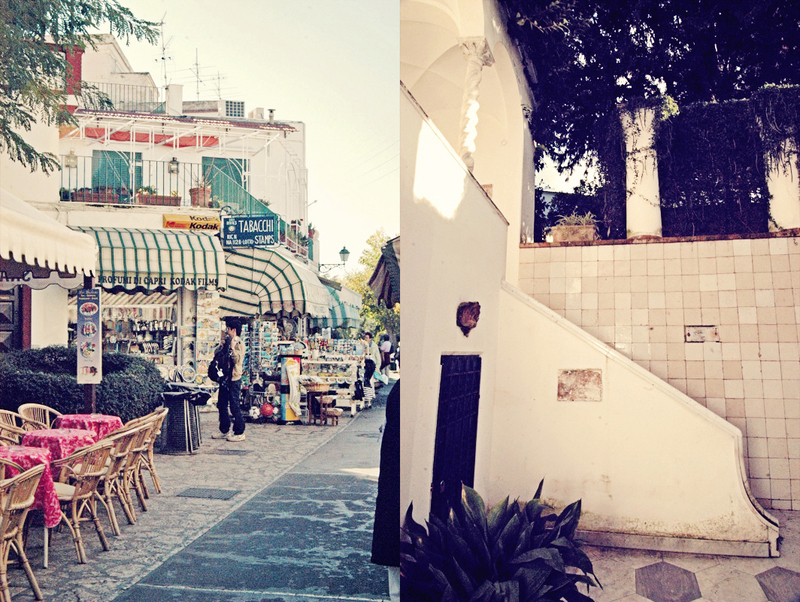 Image | April 15, 2013 April 16, 2013 | a love letter to rome and italy! 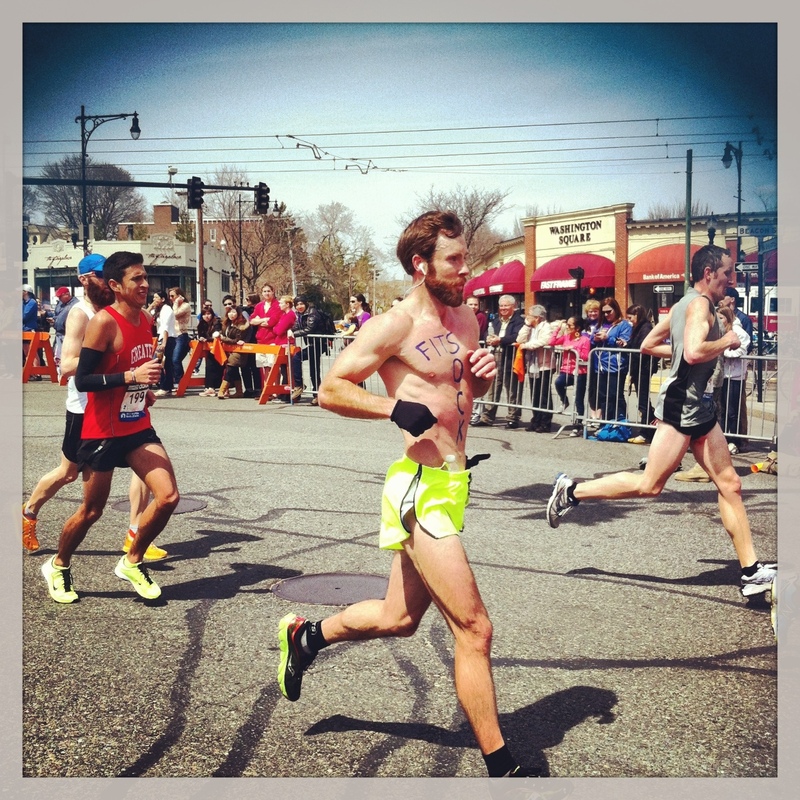 I was at the Boston Marathon today. As a Bostonian I am devastated by the tragedy of the bombing. Not only do I love my city, I think about the international guests we were hosting on this special day. I send my deepest condolences to the family and friends of those killed and badly injured. So much courage in the face of adversity, good Samaritans at every turn. You live like this, sheltered, in a delicate world, and you believe you are living. 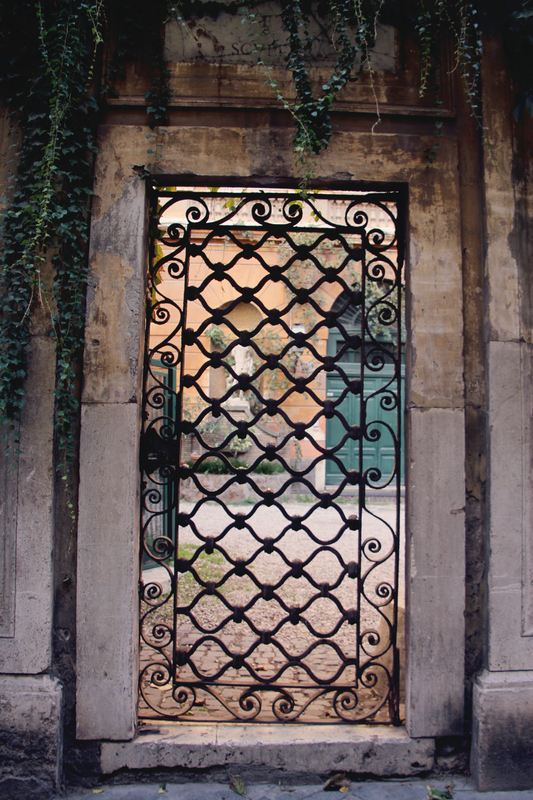 April 14, 2013 | a love letter to rome and italy! Image | April 14, 2013 June 7, 2016 | a love letter to rome and italy! 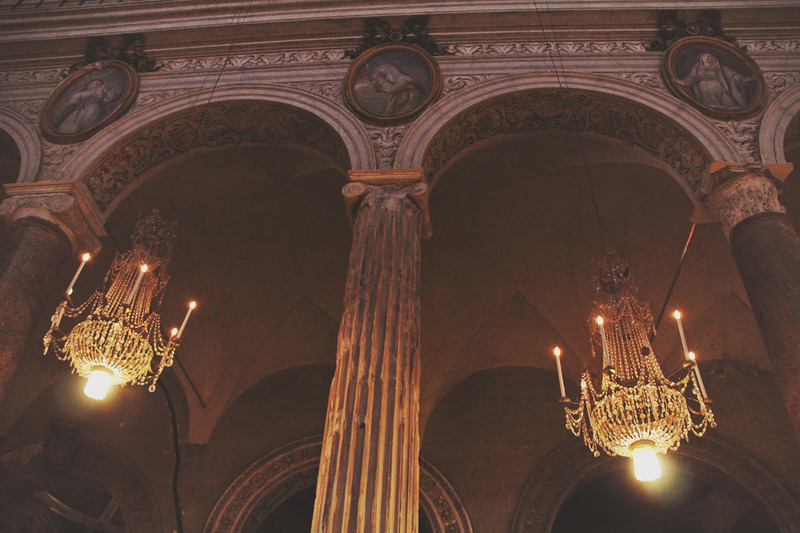 When I was last in Rome, in October, I spied the most beautiful chandeliers hanging from very old church ceilings throughout the city. The churches were built upon layers of history, starting from the ruins of pagan temples thousands of years ago, with places of worship erected piece by piece like a mosaic throughout the first whispers of a Christian Rome through the middle ages to the Renaissance. 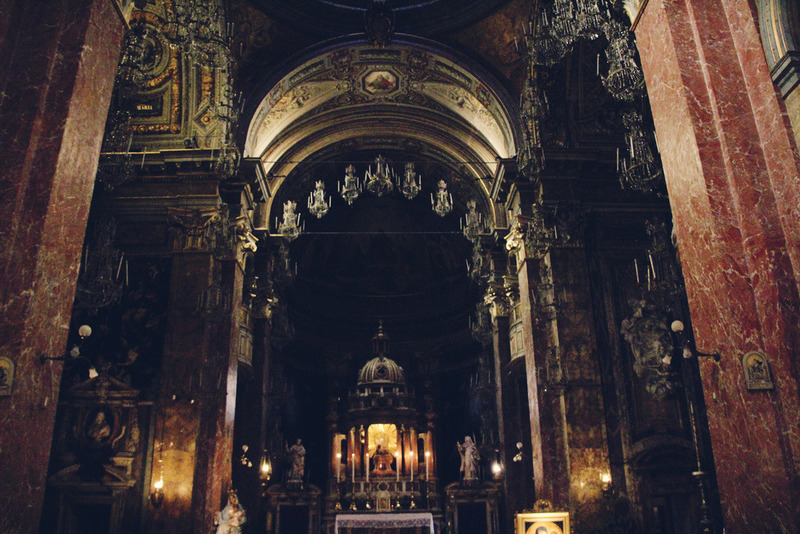 The Santa Maria in Ara coeli is on the capitoline hill in a foreboding, plain edifice hiding treasures of lights, stonework, faded marble, pillars from various eras, countless sarcophagi and dazzling chandeliers. The Santi Giovanni e Paolo is built on the ruins of the Roman saints John and Paul’s houses… and their remains, martyred in the 4th century. It boasts Byzantine flourishes, a coffered ceiling, gorgeous frescoes and a hushed, ancient stillness that hangs in the air. It was the first church to be built in Rome and has seen many facelifts and stylistic touches over a millennia. The imposing, numerous chandeliers of the Basilica of St. Mary of the Altar of Heaven, Basilica di Santa Maria in Ara coeli al Campidoglio. 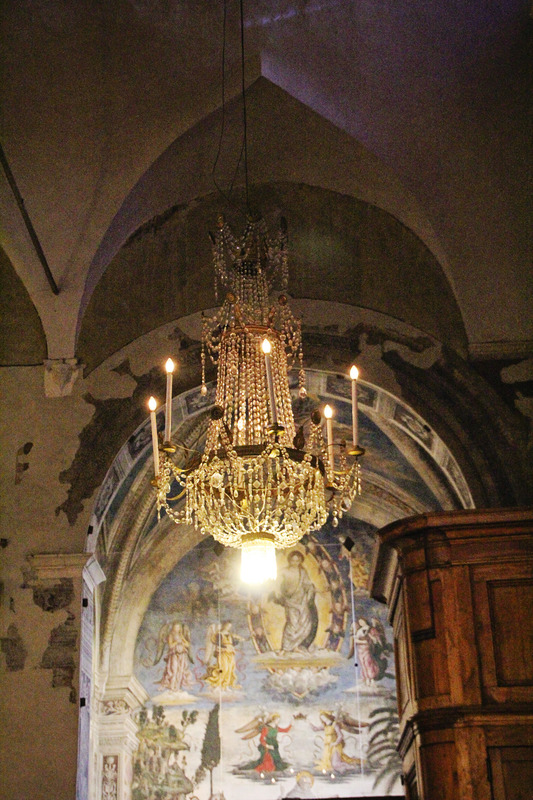 Bright frescoes and peeling paint over faded stone and wood in Santi Giovanni e Paolo. The chandeliers appear even more elegant against a faded backdrop. The churches are particularly breathtaking in person. They remind me of the somber prayers and cries heard in these walls over centuries of visiting pilgrims and faithful Romans alike. The splendor of the chandeliers and the art work only add to the sense of contemplation I feel wash over me whenever I enter their doors. I am an outsider on the one hand and a product of Judeo-Christian thought on the other by my very life in the western world. In America. Because of my Catholic and Protestant émigré forbears. As the daughter of lapsed catholics, I was not raised with church but with the talk of God and conversely, the discussion of “no god” growing up. There were stories of gods and theories of prime movers or nature or the impersonal universe as the sources of mankind. There was the appeal of ens causa sui, being one’s own cause. There was also the fear of that idea. So many ideas whirled around me in the conversations of adults. Nothing was ever formed, nothing was concrete. Life was fluid. Beliefs were temporary lapses of judgement. The mystery of the unknown barred an anchor, yet my openness to all possibilities was also a kind of freedom. What a delicate balance in life we all lead. I still don’t know the answer to any of these big questions, or the Big Question, but I feel a subtle change, a quiet shift take over within me, in the quiet corners of Rome. In the buildings made of stone and marble, under the statues and paintings. When I enter into the symbolism of the stories, when I breathe in the heavy air of history, something fills my imagination whilst I am there and it’s hard to move away from it. It never really leaves me. Old chapel or cathedral, broken temple, an all but vanished sacra, an altar of astronomy and science or art – they are all my churches. April 11, 2013 May 31, 2013 | a love letter to rome and italy! April 8, 2013 May 31, 2013 | a love letter to rome and italy! Inside a Lower Ninth Ward house six months after Hurricane Katrina hit New Orleans, Louisiana, early 2006. Scenes from a disaster. Homes and lives destroyed by manmade infrastructure failing to hold up post storm. I first visited NoLa in spring of 2005 around the French Quarter Festival. The next time was early 2006, shortly after the hurricane of August 2005. I’ve traveled to New Orleans 11 times in six years, attending the Jazz Fest and the Voodoo Music Experience, going off season and on, when it’s hot as hell and windy, cool and grey. I’ve eaten crawfish étouffée and shrimp creole, drank frozen cafe au laits and French 75s and Pimm’s Cups and spooned strawberries arnaud and catfish topped with crab and crawfish. 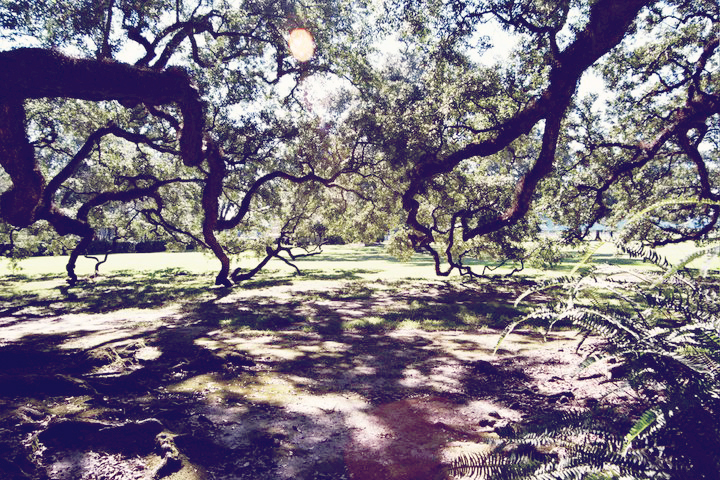 I’ve poured Louisiana hot sauce on red beans and rice and danced barefoot in fields. 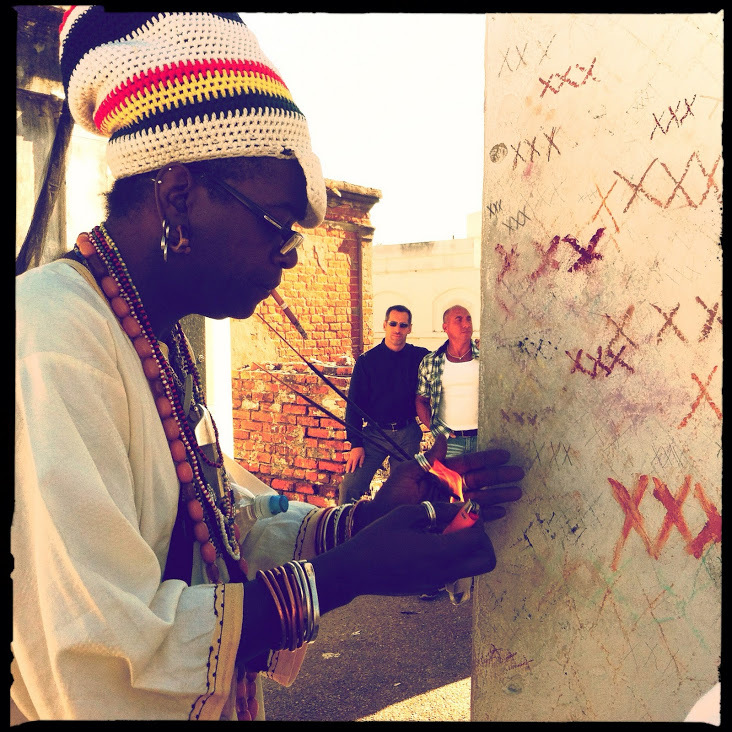 I’ve listened to a lot of people, seen a lot of New Orleanians, photographed them, talked with them. I’ve spent hours of near pure bliss wandering around historic, above ground cemeteries, snapping photographs and reading inscriptions. 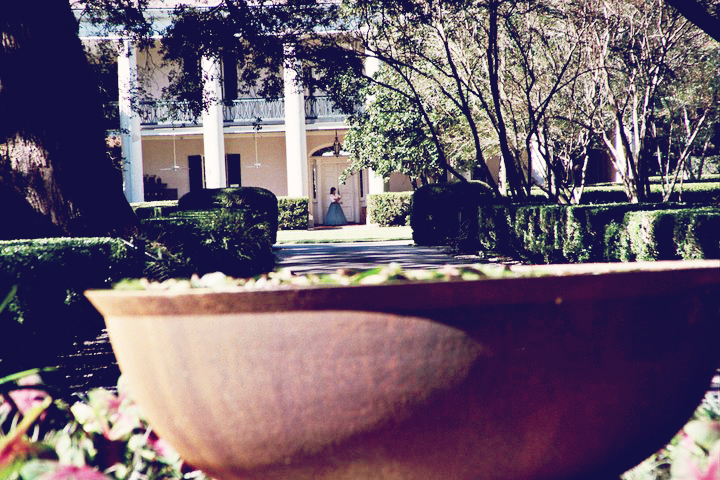 I’ve sat in countess voodoo temples, walked over many cobblestoned streets on slow, sleepy evenings, sat under magnolia trees and followed the scent of jasmine around the Garden District. I’ve listened to jazz, blues, ragtime, dixieland, circus acts, old timey, bounce, cajun and everything in between. 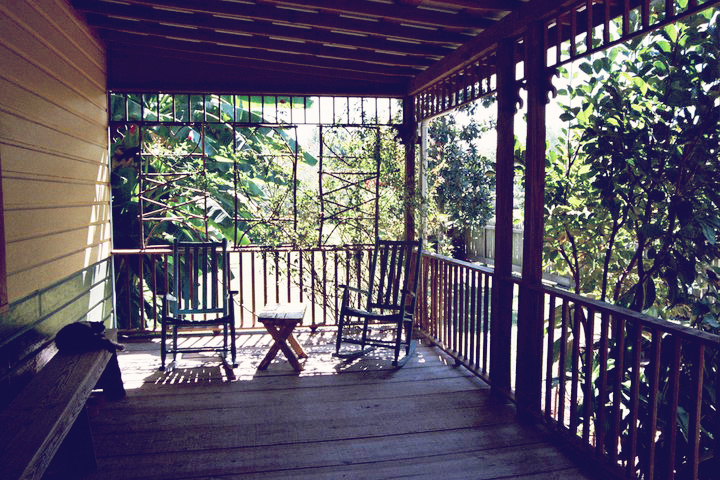 I’ve tried to count all of the colors of the brightly painted creole cottages and the tropical flowers in lush gardens and curves and details in iron latticed balconies. Image | April 8, 2013 | a love letter to rome and italy! 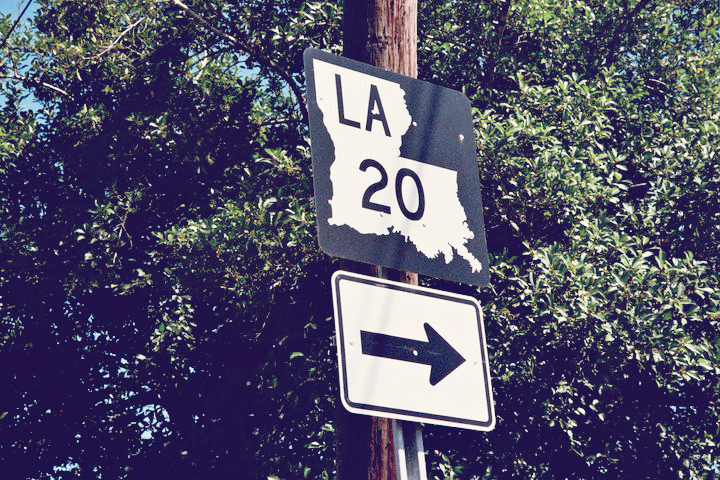 There’s another place I fell in love with on my travels: Louisiana. 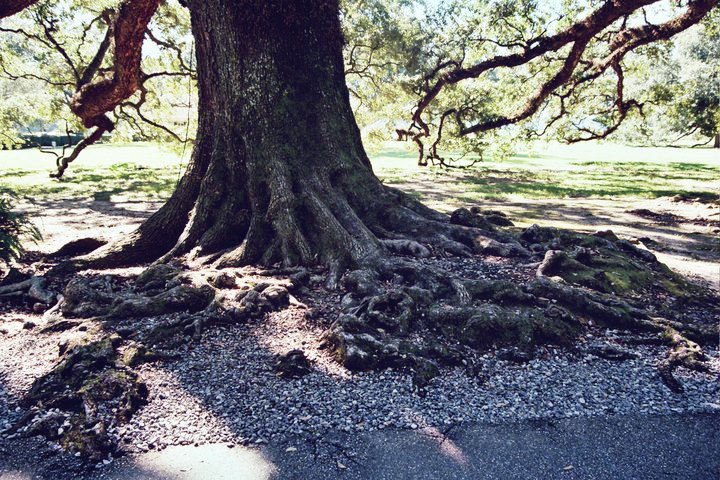 New Orleans, especially, for it’s architecture, music, food, tropical gardens, iron urns, beautiful cemeteries, for its people and history and passionate embrace of life and death, for its celebrations. I have many shots of the city, these are a few pictures I took in the Louisiana countryside outside of the city in the former “plantation” country. 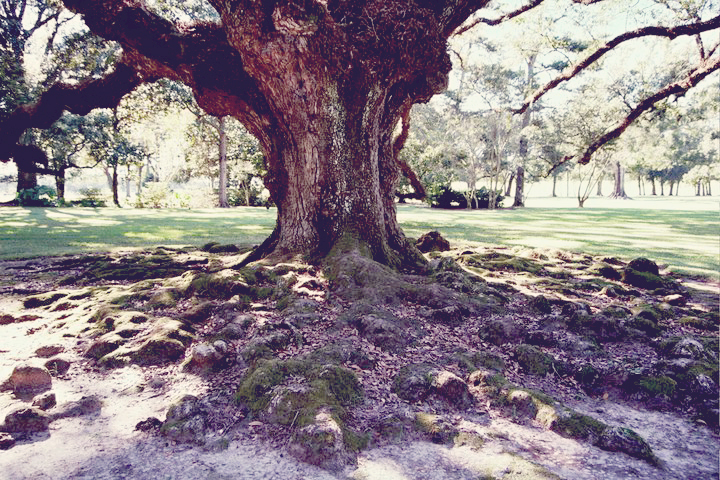 There is not a tree more beautiful or haunting to me than a southern live oak with spanish moss hanging from its branches. 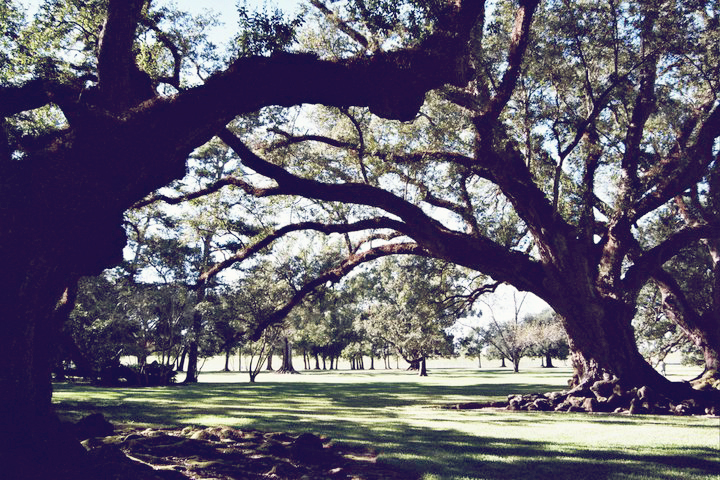 The iconic shot at Oak Alley (2007 or 2010). There’s nothing like the feeling of driving along the backroads of the south listening to delta blues getting lost and feeling the sun on your skin. A true slice of Americana. 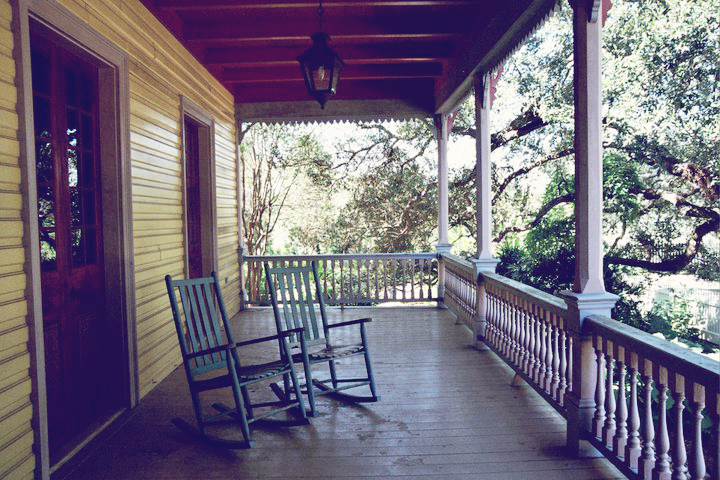 Sweet tea and lemonade and a couple of rocking chairs. The trees seem to come to life as they reach for the ground like some fairytale ancient creatures. The mossy trunks and roots. 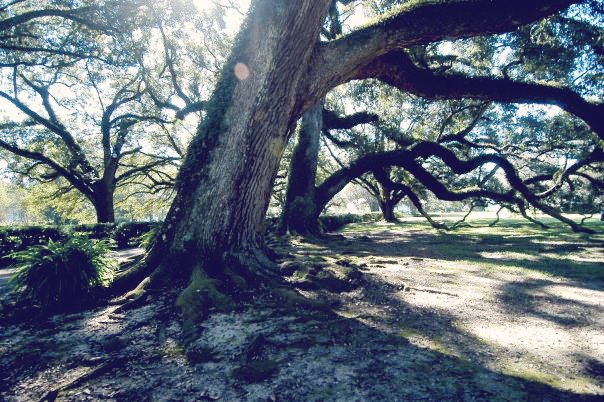 The trees hold centuries of stories and memories. 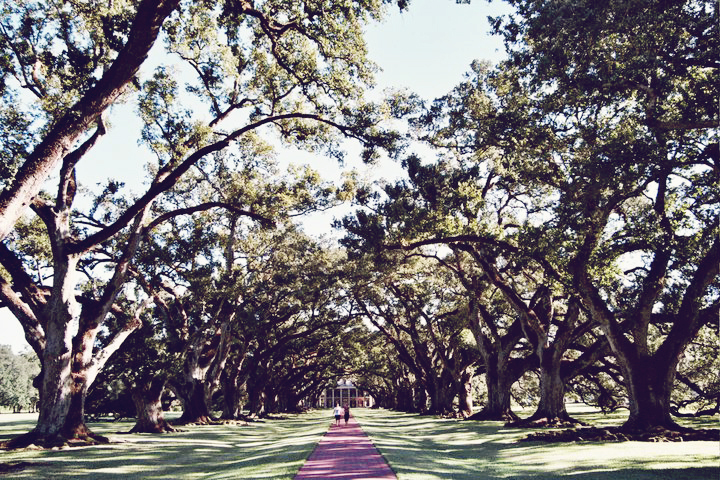 A beautiful walk: Louisiana is full of perfect, lush, tropical gardens. The plantations are picaresque these days but the bitter truth of their origins is something you see when you are on its grounds. To think civil rights only got started about fifty years ago shows how close we still are to our darker history. 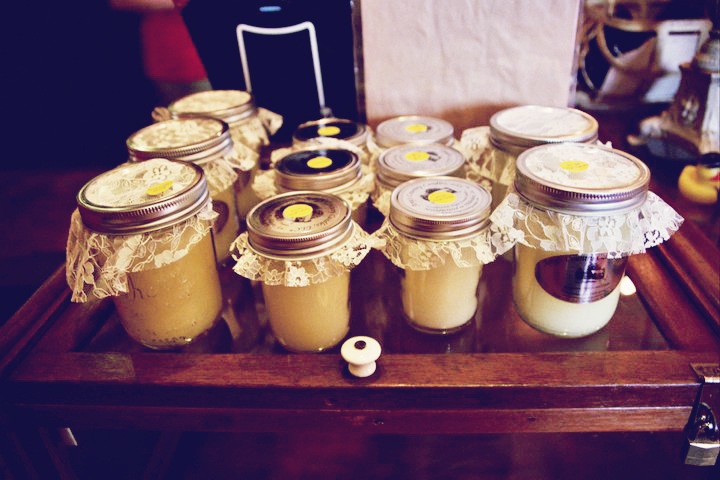 The best smelling country candles, a rich vanilla. 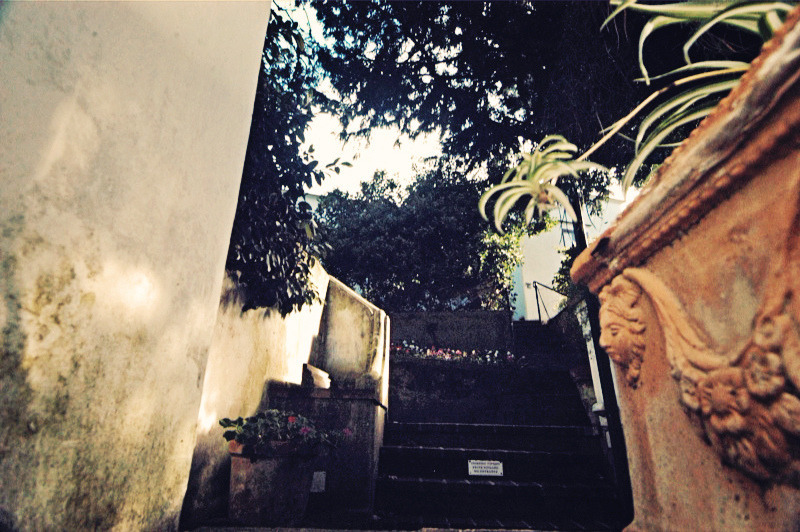 Image | April 7, 2013 | a love letter to rome and italy! 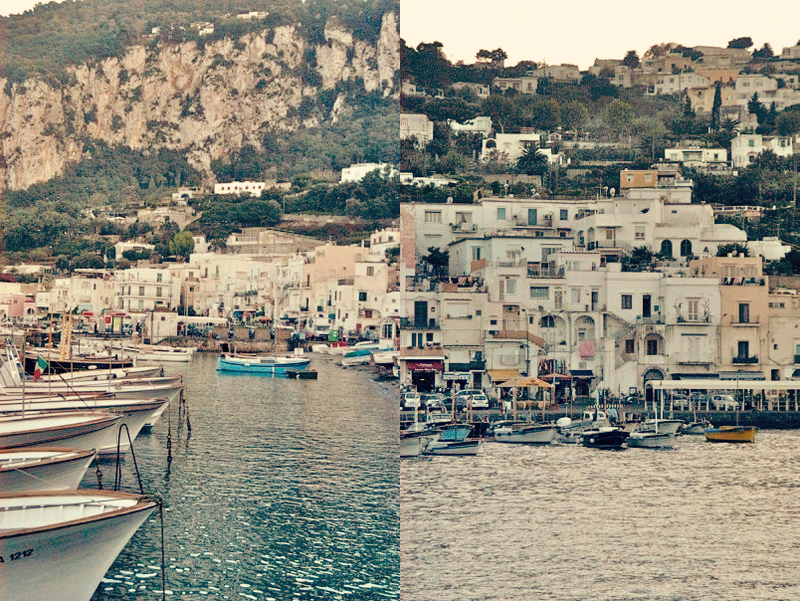 More memories of Capri as I look over photographs I took of the picaresque island in 2006. We spent eight days on the island in October and November and probably only explored half of the isle! I would like to balance this upcoming visit with the same relaxed lifestyle we adapted then whilst also exploring the island more. 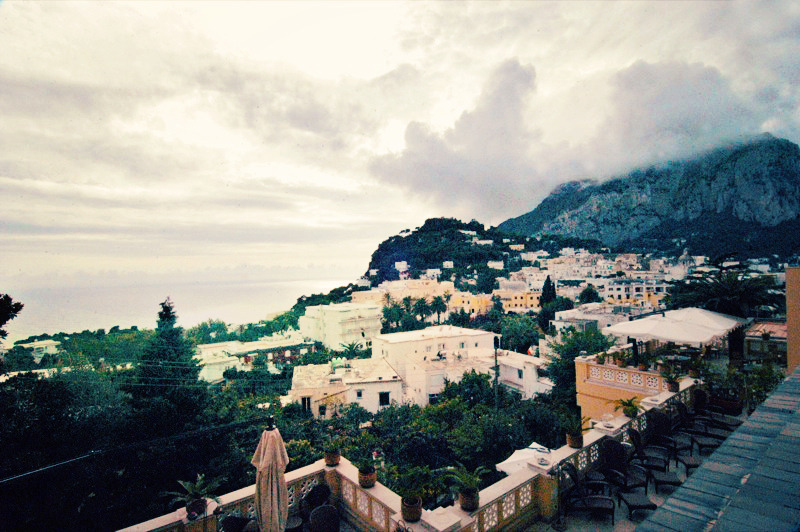 I love the Villa San Michele (home of Swedish psychiatrist and author of The Story of San Michele … Axel Munthe) – it’s a beautiful old villa that houses an enchanting bird sanctuary and boasts some of the best views of Capri on the island. I have a soft spot for birds, and I especially adore bird sanctuaries, ever since my mum sent me off to Mass Audobon as a child and I fell in love with bird watching and listening. 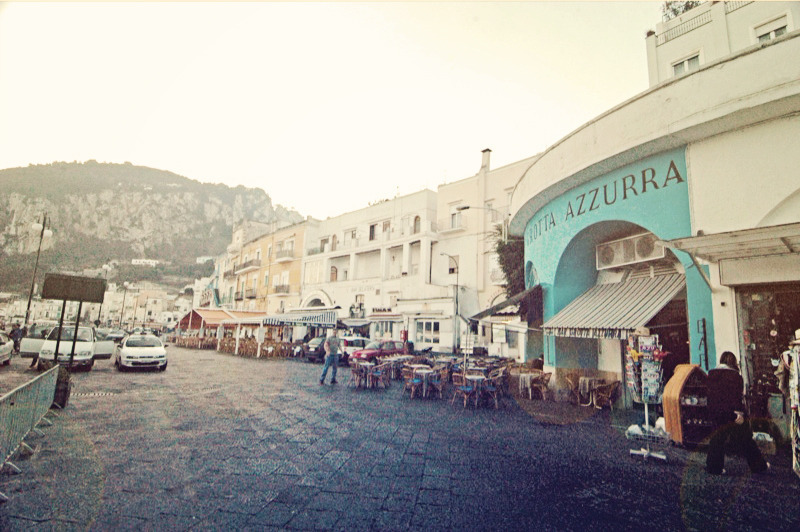 I remember loving Capri the first couple of day trips we took there from Naples and Sorrento in the late 1990s and early 2000s. For me, I get into such a city mode with my love affair of Rome it is sometimes not until later that I feel I can tear myself away from the eternal city for a different Italian experience. I love the nature and the beauty of Southern Italy but the architecture, art, history and pulse of Rome calls to me an urban Siren’s call. Capri and Sorrento may be the mythical home of the Sirens (and it is no surprise given it’s soaring cliffs and sparkling waters) but I always found the pleasures of Rome to be far more tempting. After two visits last year to Rome and a few days in Naples and after a long winter (and my husband’s very bad car accident right before christmas) we both decided we wanted to relax adrift the mediterranean. 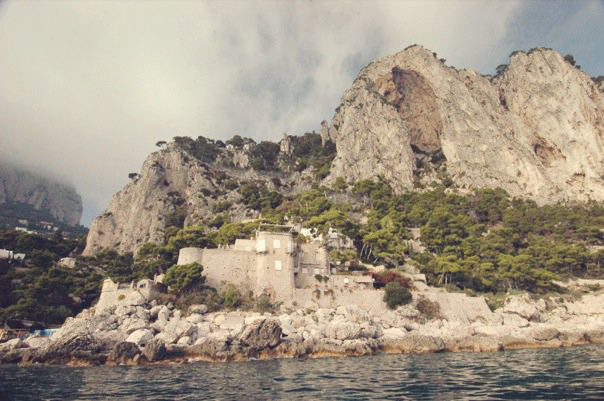 We wanted a quiet spot filled with the Italian riches of nature, a little architecture, some ruins (Villa Jovis), some views (Capri and Ana Capri! 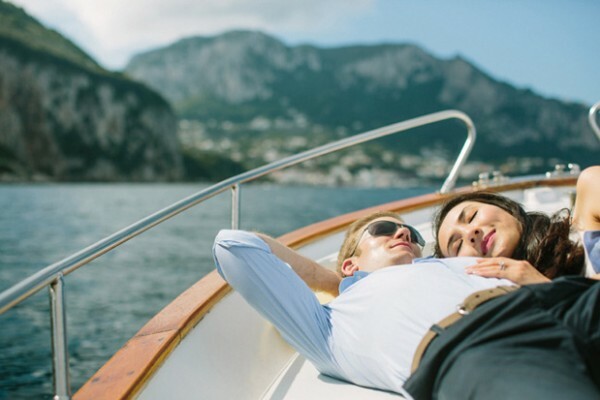 ), a central location (day trip to Ravello and Paestum, ferries to the Amalfi Coast) and a whole island where you can walk, swim, trek or take a white convertible taxi or a ski lift to wander around. We aren’t making too many plans and I’ve promised not to bring my camera everywhere. I am planning on taking my film camera with rolls of portra 35mm film and marking special days and times to go around the island myself and go on several shoots whilst he is swimming or lying by the pool. There’s something about not planning much and seeing where the day takes you that is infinitely more like a holiday than a list filled grand tour. Let’s see where in the moment living can take us I suppose! And we must take another little boat around the island, that’s for sure. This time we’ll remember the sun block. 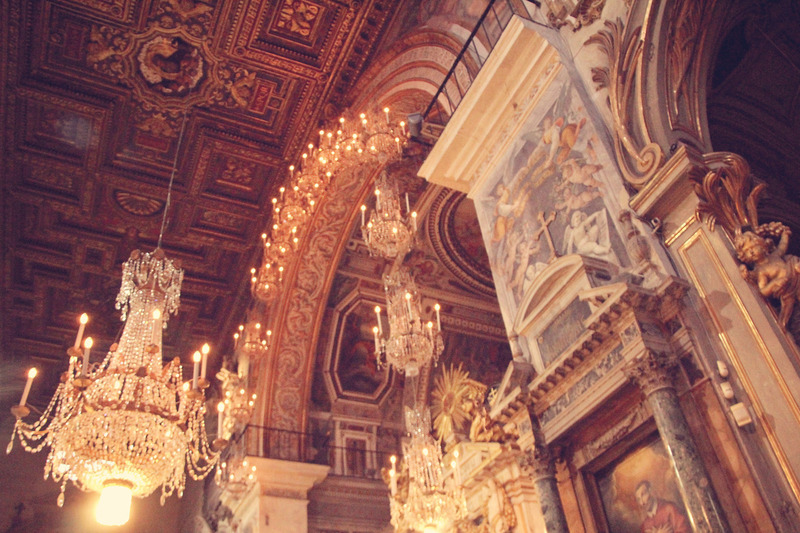 Image | April 5, 2013 | a love letter to rome and italy! 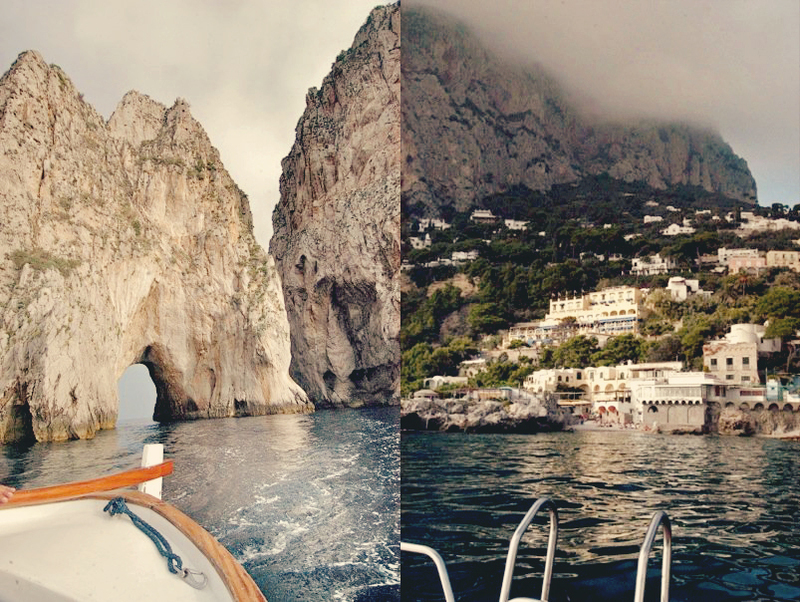 I saw this gorgeous photo shoot which reminded me of my week on Capri in 2006. Next month we are returning for a week on the beautiful island. In anticipation of this holiday I went through a few old shots of the island I took with my broken camera! 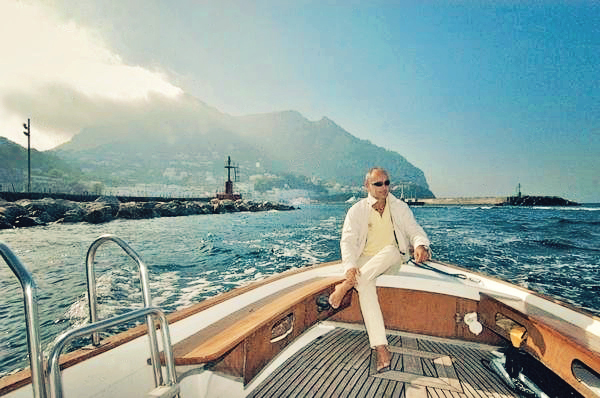 This photoshoot reminds me of a day in 2006 floating around Capri in the same style boat! Except somehow we didn’t come off as glamorous and dreamy. I didn’t feel that way anyway! When we stopped outside Tiberius’ Cave and jumped off the boat and swam into the mysterious Blue Grotto I got a weird rash from touching the algae or something. Then when I inelegantly hauled myself back up the boat ladder in my red faced 20th try, my hair dried plastered to my head, tangled and frizzy. We forgot to bring pellegrino and glasses or a picnic and got sunburns. (We were still incredibly enchanted and happy the entire boat trip – it was wonderful and dreamy to behold – but no-one would accuse us of being an effortlessly glamorous, photogenic couple like the one featured)! Hey they may look 1,000 times more fabulous but were have the bohemian chic schtick down pat. I mean, matching khakis couple? Just no. I joke… sort of. So I poured over some old shots taken of my week in Capri in 2006 (taken with my old broken camera). 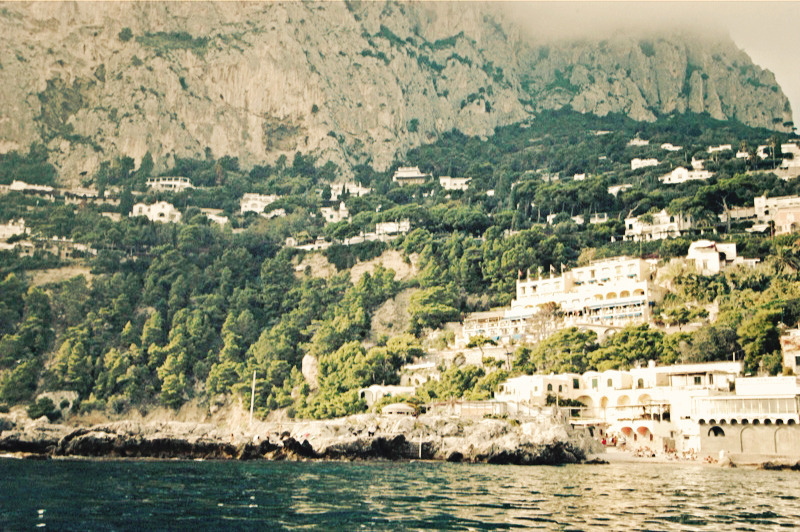 a beautiful mist rolled into view one morning as we wandered around capri and ana capri. the architecture is white, blue and gold and elegantly beautiful. the pool was an interior ‘ancient roman’ style hand painted tile pool from our hotel the villa tiberius. 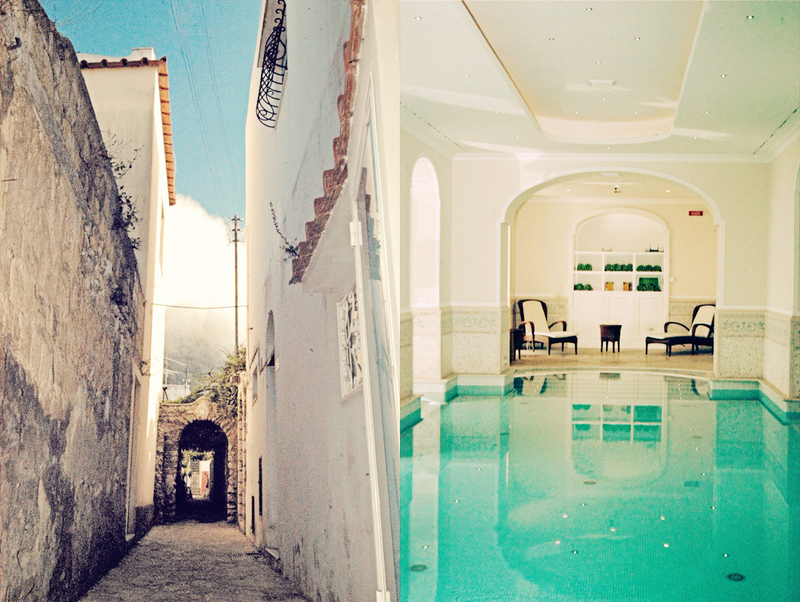 Image | April 3, 2013 April 4, 2013 | a love letter to rome and italy! 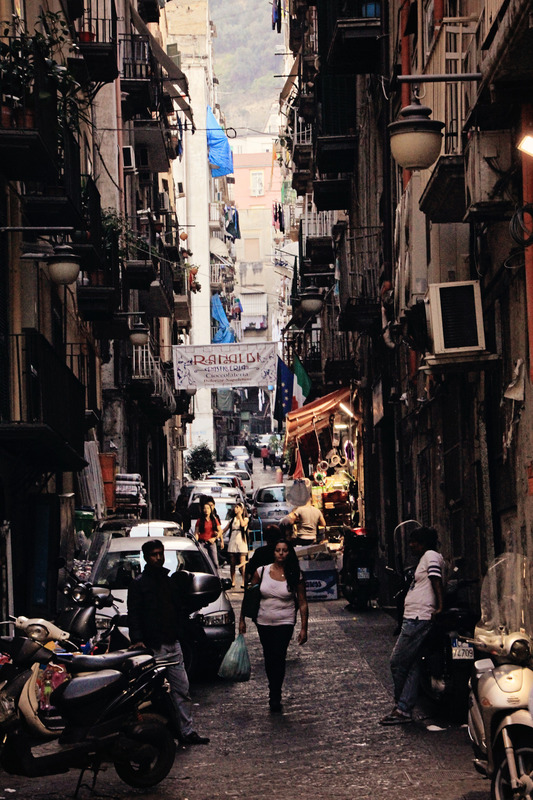 It’s simply impossible for me to tire of the dark, craggy, cramped, decaying alleyways of Napoli. Because I find them so beautiful. What is that expression? Life in the streets. But that’s not subtle enough. That has no emotion. No color. No fragrance. I’m just an American who falls in love with corners of places. Pages in books. The picture I see in everything. What do I know about it? Not much. But I love it all the same. 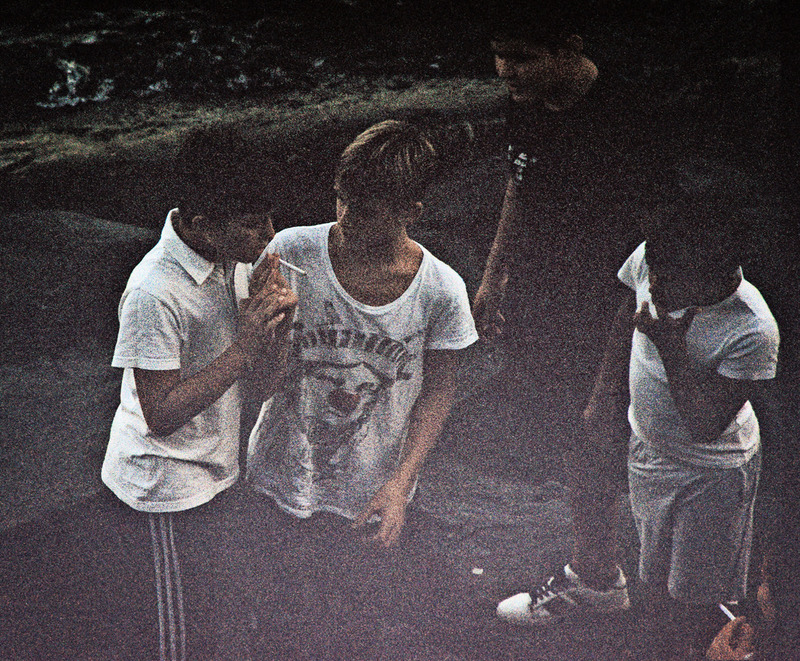 Napoli gang of 11-13 year old boys smoking on the beach for the first time after they robbed a sweets cart. 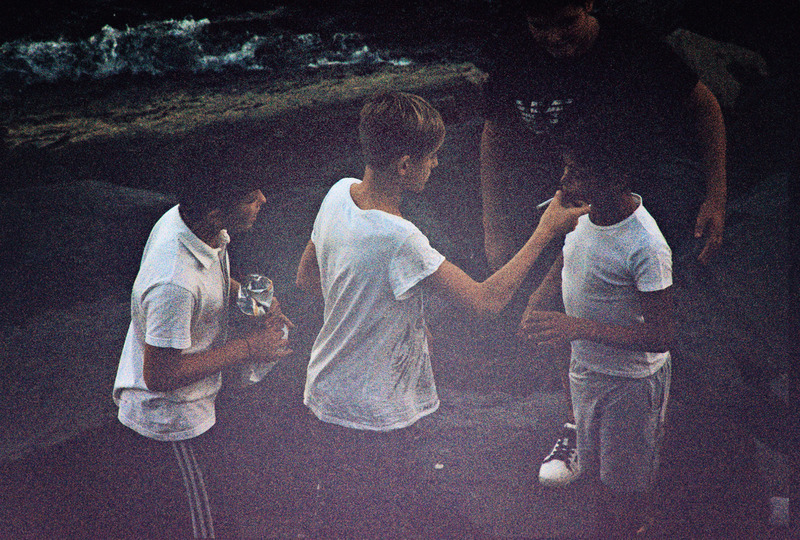 The unofficial leader of the gang, a tall blond boy, teaches the other boys how to smoke after they bummed cigarettes off kissing teenagers and robbed a food cart and cafe of crisps and chocolates. 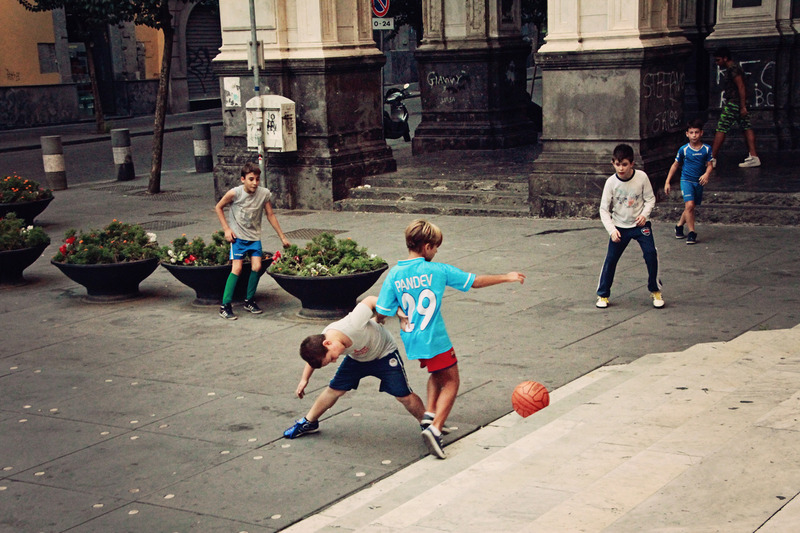 Boys playing football in the corner of a small piazza.